This will be short post. 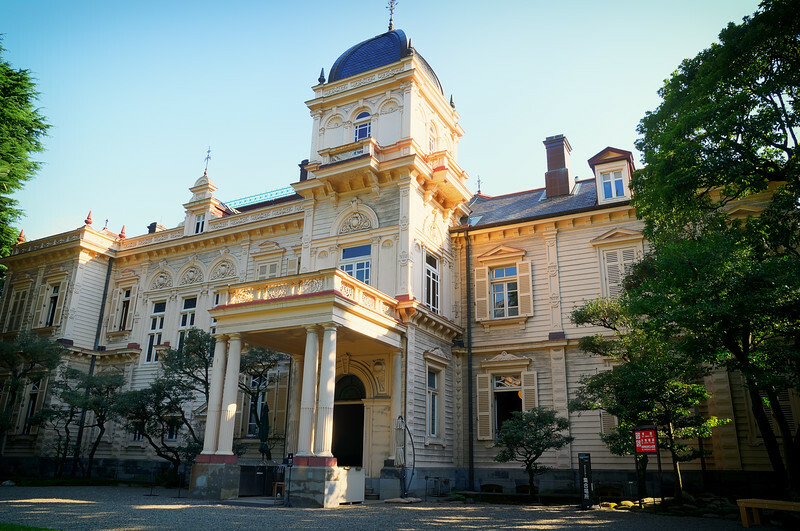 According to the Wikipedia, Kyu-Iwasaki is the former estate of the Iwasaki clan who were the founders of Mitsubishi. The bulding is interesting due to its mix of styles. Front side looks like European building, apparently it is based on the Jacobean style of England in the 17-th century. However, the back of the building looks like American mansion, the Ionian style of the Pennsylvania country house to be exact. 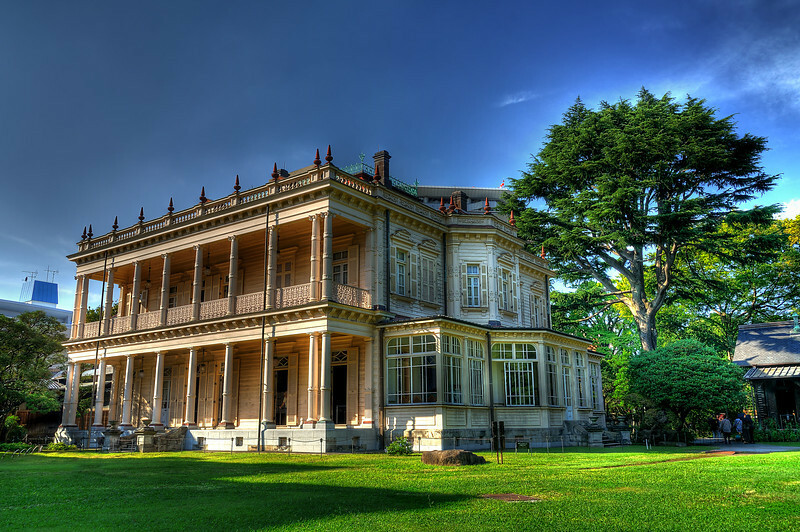 On top of that, in the back there is also Japanese house integrated into the mansion. However, what is left is only a small portion of what it used to be. Due to development of Tokio and scarcity of land the size of estate has been reduced greatly. One thing I don't like, it is empty. Seeing such interesting building I expected some stylish furniture inside, but nothing was there, just empty halls and rooms. Still, I think it is a POI worth of visiting. After all, where else can you see such mixed architecture?